Here’s where all of the after-school practices and preparation become exciting! Our high school students spend their Friday evenings and Saturdays at debate tournaments, engaged in intense competition with kids from schools from around the city. Two-person teams debate in five preliminary rounds, usually followed by elimination rounds. Each round takes about 100 minutes and includes eight distinct speeches, plus four cross-examinations. Our middle school students compete in Saturday-only tournaments, with each student participating in four 45-minute rounds. In each round, a judge assesses the students’ use of evidence and logic, knowledge of the issues, ability to refute opponents’ arguments, cross-examination effectiveness, and persuasiveness. Importantly, at the end of each round, judges provide an immediate critique and debaters use that feedback for their next round, often 15 minutes later. This feedback loop makes debate tournaments unusually dynamic environments for learning. The topics are based on the annual national policy debate resolution. Within each resolution, debaters find rich veins of subtopics and virtually every year they explore issues in politics, economics, science and technology, international relations, social sciences, and philosophy. Required to prepare for and argue both the affirmative and negative on multiple issues, our debaters develop wide content knowledge, deep critical thinking skills, and the keen ability to understand diverse perspectives. 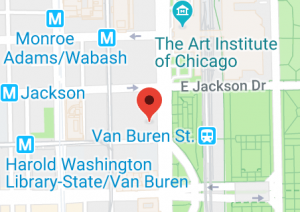 Chicago Debates holds approximately 35 tournaments during the season, including regular tournaments, invitational tournaments, and a summer training tournament. Our tournaments are attended by hundreds of students from approximately 60 schools and 40 Chicago neighborhoods. Our CDL regular season tournaments constitute the core of our program. Each high school team participates in six of these tournaments, divided among four conferences; each middle school team participates in five tournaments, competing in three conferences. Some tournaments include multiple conferences. The culminating tournaments of the season – the Chicago Debate Championships and Chicago Middle School Debate Championships – bring together debaters from all conferences to compete to be named city champion. 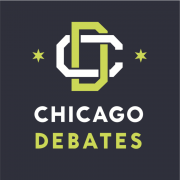 Each year, Chicago Debates organizes additional competitions, to which select high-performing teams from across all conferences are invited. These events, sponsored and hosted by private partners, provide students with the opportunity to experience a professional work setting, interact with professionals, and attend career panels and workshops. Numerous CDL teams compete in regional and national competitions throughout the school year, where they have achieved great success. CDL teams have won the National Urban Debate Championships six times and reached at least the semi-finals in virtually every other year of this tournament’s history. Our students regularly win speaker awards at this event. Our winning team in 2010 and two of our top debaters in 2013 were invited to meet President Obama in the Oval Office. Each year since 2012, CDL teams have qualified for and competed in the Tournament of Champions, the most prestigious tournament in the country. In 2016, five of our teams competed. CDL teams have also achieved success at the Illinois State High School Association Championship, with one of our teams winning this highly competitive tournament in 2012. Our middle school teams have also achieved great national success. In 2015, one of our teams made it to the finals of the National Speech and Debate Tournament and six of the top 16 teams at this national tournament were from our league.